This year’s American Hostel Conference had plenty to talk about. The two-day affair was hosted by VIkki Matsis at the Notso Hostel in South Carolina with many guest speakers and participants from Alaska to Maine. Here is a small excerpt highlighting what you may have missed from the event. The first speakers were the gang from Hostel Road Trip Podcast, Jimmy Black, Bobby Dyer, and Eric Faria. Courtney Loechl mentioned these guys in the Hostel Management Newsletter in October. They talked about their mission to spread peace through learning about various cultures and what it is like to create a podcast on the road. Interviewing various guests, hosts and accommodation service providers, the podcast delves into all the issues, the good and bad, that all hostellers face. Are you in the throes of opening your first hostel? 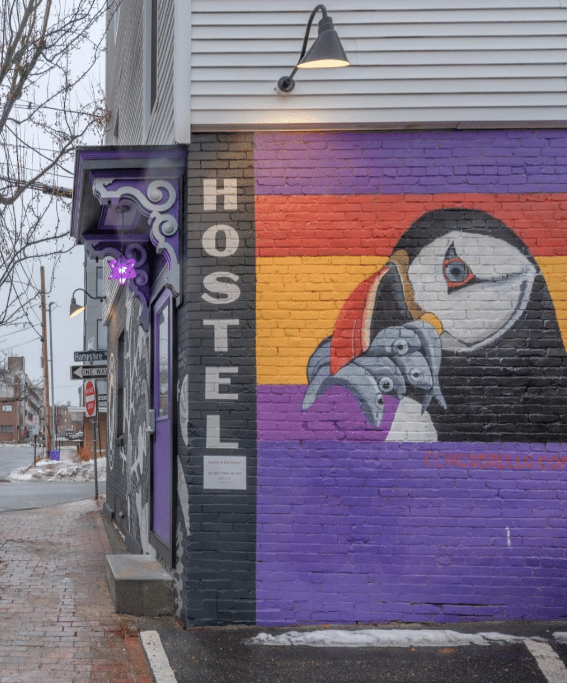 Heather Loeber, the owner of the Black Elephant Hostel, took everyone on her journey of opening the first hostel in Portland, ME this year. Who doesn’t love government policies, red-tape paperwork, and bureaucracy? She found a wonderful but forgotten building downtown; she gutted it and made it compliant, then made it beautiful. Through her hard work and diligence, she now has her own “melting-pot of different cultures” fit for welcoming visitors to her beautiful part of the country. How about the topic of direct bookings versus paying high commissions to online travel agencies? The struggle is real. 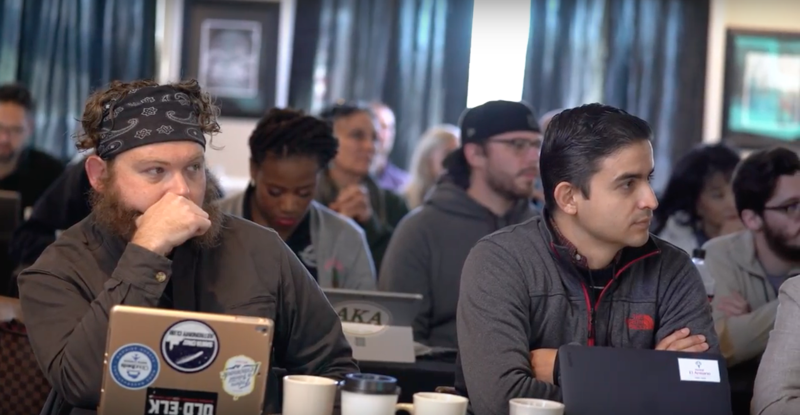 Hostel Management’s Darren Overby presented the Direct Booking Revolution! Small hostels can convert more direct bookings, skirt the OTAs’ one-sided contracts, and compete with the giants by binding together. Darren also introduced OurHostels.com. This is the website dedicated to hostels and only hostels. Darren is preparing to launch the site soon along with some new features of HostelSnap soon, so watch this space for more details in the coming weeks. Anyone who reads the hostelmanagement.com blog or is part of our Facebook group should be familiar with Byron Bunda. Besides contributing articles to HM .com, he also has his own site, BackpackerBiz.com, which gives great tips to hostel owners and aspiring owners. Byron spent some time going over the trends and changes in the accommodation industry and the seeming convergence of hostels, hotels, and Airbnb experiences. The growth in remote working opportunities and digital nomads is changing these travelers’ needs and expectations. Byron also touched on how important it is to stay on top of changing marketing and social media strategies, like Instagram how-to’s, in order to stay connected with these travelers. Many hostels and accommodation providers are familiar with Cloudbeds, the PMS, channel manager, and booking engine software. Mark Bloomquist presented “an inside look at the history and inner workings of this award-winning online reservation system." Cloudbeds has sponsored the American Hostel Conference for the second year in a row. 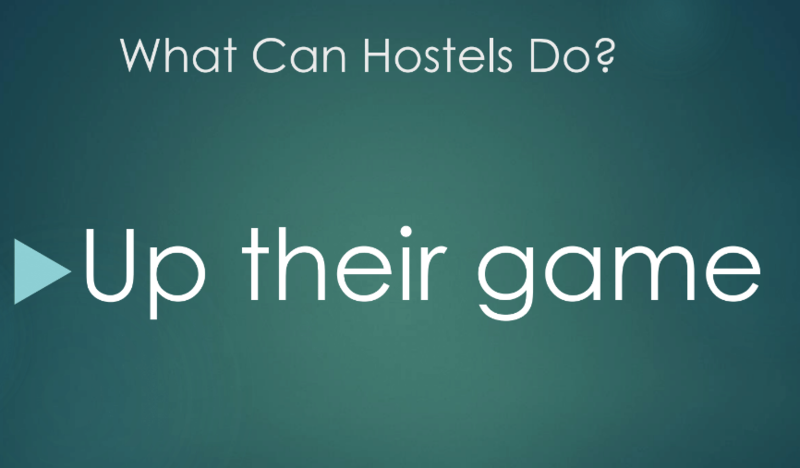 Do you need some ideas on how to make your hostel a success? 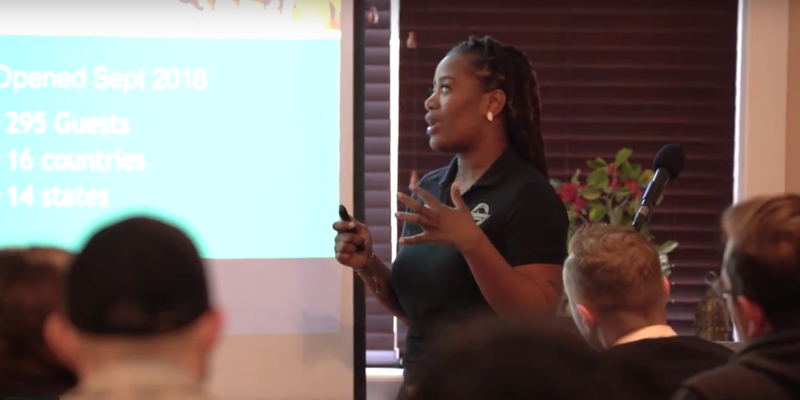 Deidre Mathis opened her first hostel in Houston, Texas called the Wanderstay, a hostel for the “young, broke professional”. Her design and concept: to give guests the social feel expected of the hostel-life but with the extra amenities normally reserved for a hotel has been a great success for her. So much so, that Deidre is in the process of opening her second hostel. Considering she has also published a book about her journey, she is clearly doing it right! 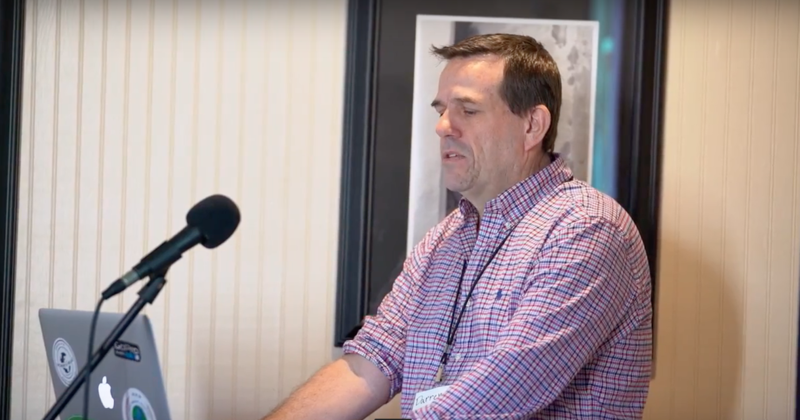 Robert Holt, of the Charleston Housing Company and financial advisor, presented “Where Do Hostels Fit In?” He spoke about how to keep hostels relevant in a changing economy. He also talked about how to go about changing outdated neighbourhood and city ordinances regarding accommodation, and how to deal with illegal Airbnb activity in the community. Besides some helpful discussions on digital marketing, how to develop your hostel’s identity, and some ways to manage your time effectively, there was also a panel discussion about changing the stigma of hostels. I think we have all had at least one guest who said “this is my first hostel experience and I love it,” and at least one person (possibly a member of your family?) who has said “why the hell would you stay in a hostel? Aren’t they dirty?” The panel discussed some ways to overcome the idea that only old hippies (like me) or only the poor millennial kids stay in hostels by creative marketing and community outreach. 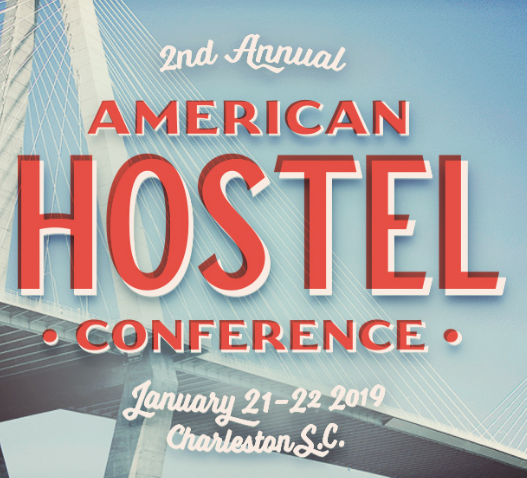 The information and sign up for the American Hostel Conference 2020 is live now. If you have some great industry ideas or have experienced the trials and tribulations of opening and running a hostel, please sign up. What would you like to see presented at the next American Hostel Conference? Are there headaches and ideas that you feel get overlooked? Tell us in the comments section.